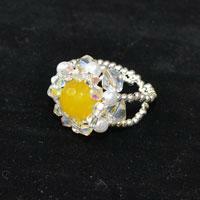 Do you want to try an original flower ring? Then check this Pandahall original tutorial about how to make flower seed beads ring in two steps. This tutorial will show you how to make a lovely cuff ring with red jade beads and gold seed beads, if you are looking for ring making ideas, never miss this one. 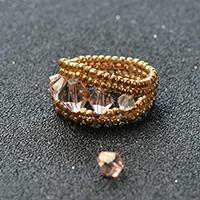 This tutorial will tell you how to make a beaded ring with seed beads and glass beads. You can follow here to make one yourself! 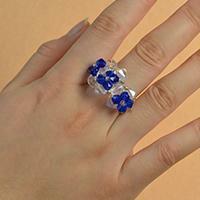 Hey, wanna try a flower beads ring making? 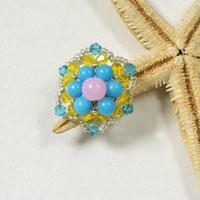 Then follow me to see this Pandahall tutorial on how to make flower turquoise and seed beads ring. 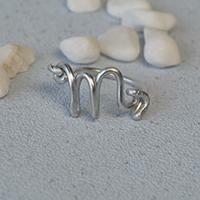 Wire wrapped jewelry and accessories are very popular among jewelry makers, so today we’d like to share you an original designed wire ring, hope you’ll like our design. 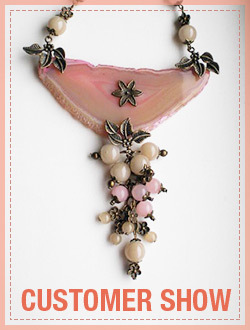 We’ve made many pearl bead bracelets and pearl bead necklaces before, but we seldom make pearl rings. 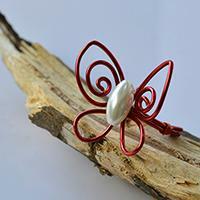 So, today we’d like to share you a pearl bead flower ring tutorial, hope you like it. In this Pandahall original DIY project, I'll show you how to make handmade blue button flower rings with white pearl beads and seed beads decorated. 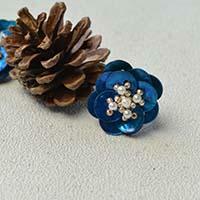 Hope you like the blue button flower rings. Do you need a simple beaded ring? 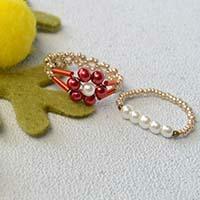 Then hope you will like today’s Pandahall tutorial on how to make simple ring with pearl and glass beads. 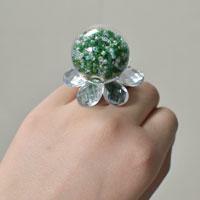 This easy Pandahall tutorial will show you an easy green glass globe bead ring. Have a try and enjoy the DIY process. 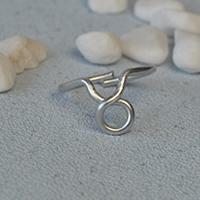 Love simple beaded ring? Then follow me to check this Pandahall tutorial on how to make simple glass and bulge beaded ring. Do you love seed bead rings? 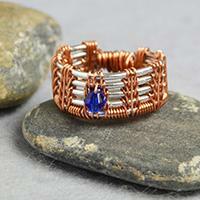 This article is about a blue 2-hole seed bead ring. Hope you like the 2-hole seed bead ring. 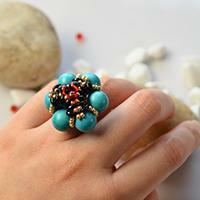 Are you interested in handmade flower rings? 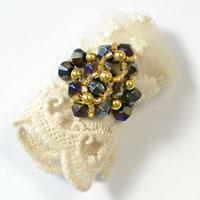 If so, you may love today's beaded flower ring. 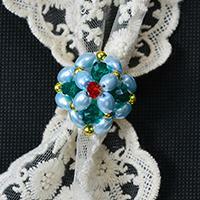 The following tutorial will show you how to make the handmade beaded flower ring. Are you nylon thread craft lover? 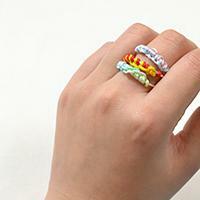 If yes, you won’t miss today’s Pandahall tutorial on how to make easy aluminum wire ring with colorful nylon threads. 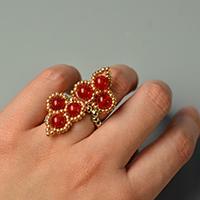 If you follow my steps to try this beaded flower ring design, you will make a delicate beaded flower ring as me! Have a go! Do you need glass bead rings? I believe today’s Pandahall tutorial on how to make simple and adjustable glass bead rings for girls won’t let you down!